Governor Musgrave’s choice of Southport’s calm waters and climate raised the profile of the region and encouraged affluent followers of fashion to spend their time in the new seaside resort. 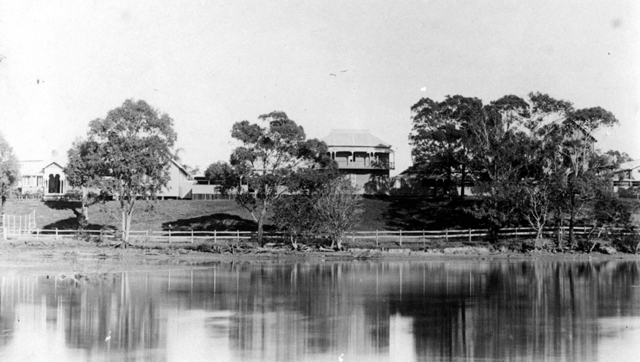 In the 1870s Henry Biggs acquired a 165 acre parcel of land on the western bank of the Nerang River near Gardiner’s Creek and built a number of buildings, including a house. Its situation gave the property not only a lovely view of the Nerang River, but its position high on the river bank and close proximity to the mouth of the river, also provided it with magnificent ocean views and cooling breezes. Several years later a two storey tower was in place and the building had been extended with the original house becoming the southern wing of a larger residential complex built around a wide square. In 1885 Mr Biggs transferred the property to trustees John Barker, Nathaniel H. Howes and James Stodart and it became available for lease. 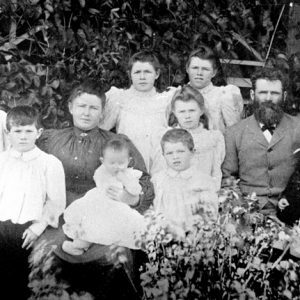 Between 1883 and 1888 the Governor of Queensland, Sir Anthony Musgrave, his second wife Jeannie Lucinda (nee) Field and their three sons, occupied the buildings as a summer residence on numerous occasions. Known variously as the Summer House, Summer Place, Summerplace and Government House, the property was the scene of numerous gubernatorial receptions and social events. 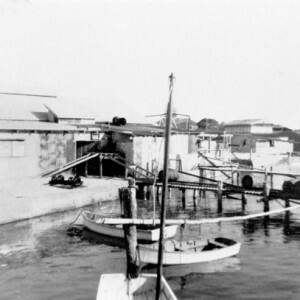 During Governor Musgrave’s holidays at Southport, the business of government continued and correspondence travelled regularly between the Summer House and Brisbane. Governor Musgrave’s choice of Southport’s calm waters and climate raised the profile of the region and encouraged affluent followers of fashion to spend their time in the new seaside resort. The set of buildings occupied by Governor Musgrave and his family was also used by General Sir Henry Wylie Norman, who was the Governor of Queensland from 1889. 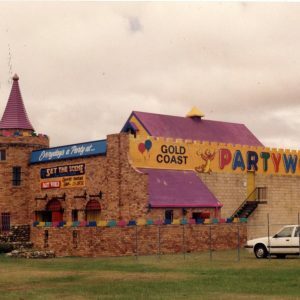 However his preference for a holiday destination was different and he choose to spend time in Toowoomba. 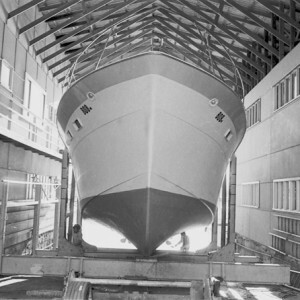 Lord Lamington, when he was appointed to the role, also spent extended periods holidaying in the Toowoomba region and, when visiting Southport with Lady Lamington, appear to have stayed in private homes or hotels rather than the Summer House. 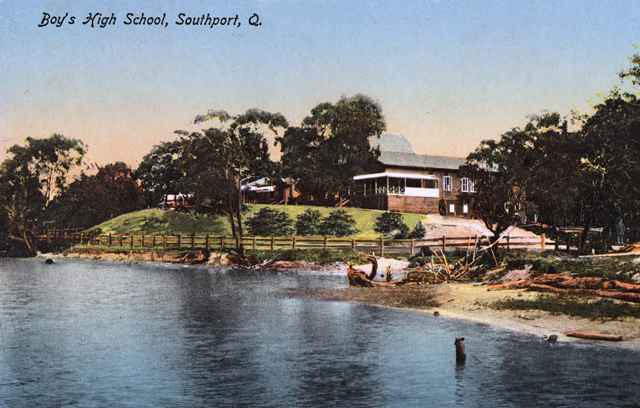 Despite the Governors of Queensland and their families no longer regularly holidaying at Southport, over time other notable public figures were associated with the Summer House, including Hon. James Cowlishaw and Hon. Thomas Bridson Cribb. In 1898, Isles, Love and Co. held an auction of furniture in Summer House which included items previously used by the Musgraves. The house continued to be used for social events, wedding receptions and accommodation and, in 1900, it was described as one of the most picturesque in the area. 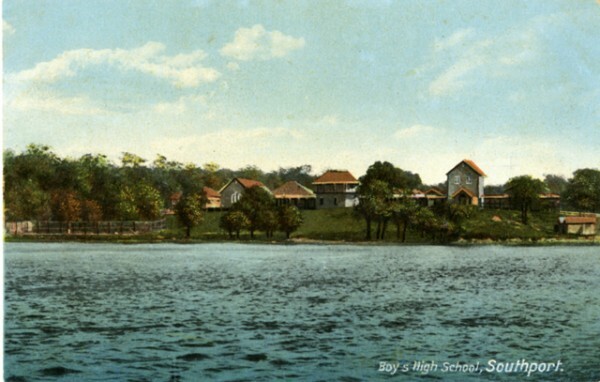 In 1902, amid concerns about the long term future of the house which was untenanted, Reverend Horace Dixon secured a long lease on the property to establish The Southport School, also known as TSS. Over one hundred and forty years after it was built, the Summer House remains on its original site within the grounds of TSS. It is now known as Biddle House. Matthews, Dr Tony. Bearing the Palm: a century of education at The Southport School. Southport: The Southport School, 2000.